Damn, you’re right. Looks like I’ll either have to sell it, or buy an external enclosure. All of the specs refer to it as a 7mm drive. But as you read further into it they are talking about 500GB and 1TB drives. I am impressed that the Tablo folks were able to sell out so quickly. I am sure they are manufacturing more as fast as they can, but it is a good sign of the health of this product. The main TabloTv site still says the QUAD if available. Either this needs to be updated or there was an error made on the ordering site. WOW, GUYS! The SATA drive bundle has been SO popular that we’ve already sold out in the US! 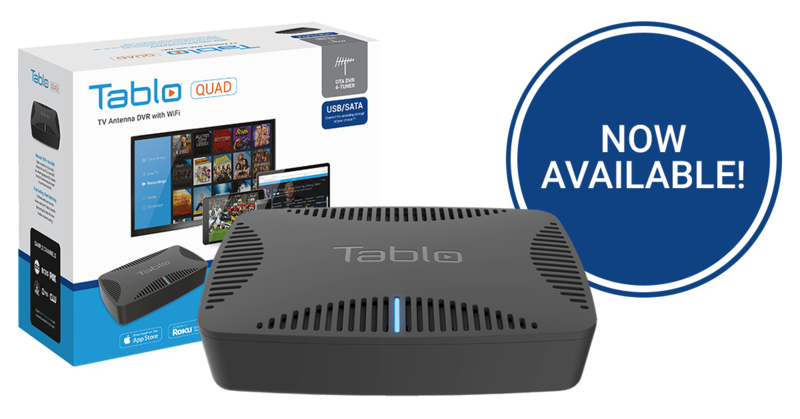 It will come back in a few weeks but in the meantime, you can still purchase the Tablo QUAD by itself. Sounds to me like they have enough Quads, but they’ve sold out their allocation of drives for the bundle. Canadian site still has the Quad + 1TB bundle. The US site is out of stock for both now. Yep. We sold out of the first batch in less than 12 hours. We had no idea that they’d go that fast but there are indeed more on the way. The email - which is our weekly newsletter - was supposed to go out today. Sorry you missed out on this batch! Pssst… Just got the OK to put a few more QUADs up for backorder in the US! @dparri526 Just an FYI. Thought you might be interested. Got a question on transitioning from an existing 4-tuner. It would be nice to keep the schedules from it, but would also want to use the internal drive capability. Based on this article, would this procedure work? reboot old 4-tuner with reset button. make sure new Quad is at same firmware (would require support’s help since I’m on a beta release). Move the external drive to the Quad and let it import the database. The goal is to get the schedule transferred, not worried about the recordings. Already ordered. Thanks for the heads up. Sure wish I would had known about the SHIPFREE code YESTERDAY! It’s also a banner on every single page of the web store. But I’m sure if you hit reply on your order and make the request, the store team will do you a solid. So sad! I’ve been waiting patiently since the quad was announced in January to “cut the cord”. Was thrilled last week when rec’d FCC approval, excited yesterday when saw it was finally available and better yet, there was a “bundle”, only to be heartbroken to see “bundle” was already sold out. 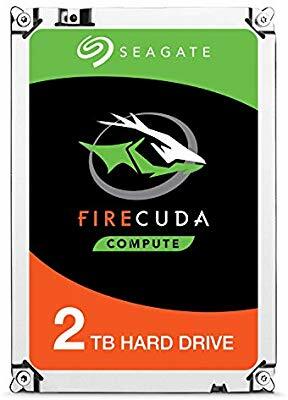 I already have a internal drive, but I noticed they have a Bundle version with a 1TB internal drive for $229.99 as well. A pretty good value for those wanting a “reasonable” amount of storage. Dang! That isn’t a bad price. I haven’t gone anywhere near the first TB yet. That probably would last me a little while. there was a “bundle”, only to be heartbroken to see “bundle” was already sold out. I feel ya! Hopefully they will get more soon. Just received my new Tablo QUAD, can this day be over yet so I can play with it? Should they play well together? Yep. We haven’t tested that one specifically but it’s the fancier version of the one that was included in the initial bundles. Meets all the required specs though! Anyone know what HD used in bundle with quad? The picture on the purchase page was a Seagate Baracuda Pro I think.